One of the reasons I started appreciating Mother’s Day, even more, is because it allows me to gift my mom things that she will not accept otherwise. Maybe it’s just her humble Russian upbringing, but oftentimes my mom will resist taking a semi-expensive gift for me if it’s not connected to any holiday or special occasion, so I make sure to spoil her rotten on Mother’s Day! This time around, I’ll not be home for the holiday so I’m preparing the whole list of things to gift my mom for Mother’s Day. Haircare, skincare, home décor and fashion items – I list all of the best things you could possibly think of for gifting your mom. Hopefully, you’ll find some Mother’s Day gift inspiration to treat your mom this holiday season! I guess it’s in my blood but my mom is also obsessed with skincare! In fact, I have to thank her for purchasing my first skincare kit when I was 12—I never went a day of not cleansing, toning, and moisturizing my face. Hopefully now, 20 years later, it shows! Jokes aside, this elegant skincare set by L’Occitane is the one I’m the most excited about to gift to my mom. She already loves brand’s body care line and this firming skincare set is something I’m certain she will enjoy. The Divine Immortelle Set contains an entire skincare routine, from a foaming cleansing cream (my mom’s preferred texture for cleansing) to an eye cream, radiance-promoting oil, and firming moisturizer. I’m actually super excited to test the latest myself as I’m on a hunt for a great night cream. All the products from the line contain Corsican Immortelle flower which is known for its ability to fight the effects of environmental aggressions as well as a complex of 7 natural origin ingredients that firm, boost radiance, and even out aging skin. Gifting Tip: The Divine Immortelle Set is already so beautifully packaged that you don’t actually need anything extra—maybe just a greeting card and flowers. Where to Buy: $189 at L’Occitane.com; also available at Sephora. In the world of hair curling tools, T3 products are having a special place as their products are so effective and long-lasting. If your mom has medium or long hair, why not gifting her the best of the best hair tool that will last her years? The SinglePass Waver is ideal for aging hair as its smart microchip technology continuously adjusts the temperature to minimize heat instabilities while high-performance ceramic barrel guarantees frizz-free finish that lasts. I own one of those hair stylers myself and I can’t recommend it enough! Gifting Tip: Arrange an entire haircare basket for her that includes not only a styling wand, but also her favorite shampoo, conditioner, dry shampoo, and other styling products. Where to Buy: $160 at T3Micro.com; also available at Sephora. If you want to go nostalgic route and gift your mom memories that will last forever, a great gift idea would be a digital photo frame. It looks as elegant and stylish as your typical photo frame, but you can see not just one, but as many rotating photos as you want. The digital frame set-up of NixPlay Iris takes just a few minutes, where you can download all of your favorite moments and also invite your family members and friends to add their photos. The best part about the digital frame is that it only displays photos when people are around and also adjusts the brightness based on the light levels in the room. Gifting Tip: Pre-load your NixPlay Iris device with photos so you can immediately start checking all the photos you prepared for her to see. Where to Buy: $199 at ShopNixPlay.com. When it comes to body care, I can’t recommend enough Molton Brown products. 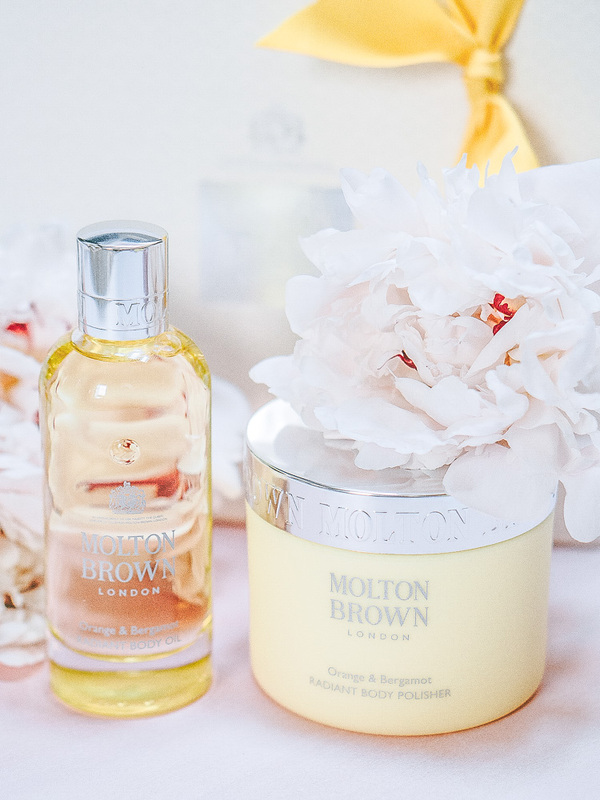 Not only these items look and feel incredibly luxurious, Molton Brown products are also infused with the best scents you could possibly wish for. For this Mother’s Day, I recommend checking out brand’s latest additions to their iconic Orange & Bergamot Collection. This delicate scent, inspired by the bitter orange trees in Seville and Andalusian bergamot, was actually the first one Britain’s luxury brand was offering to the guests of the acclaimed Mayfair hotel, Grosvenor House. This season, Molton Brown introduced, among other products, Radiant Body Polisher and Radiant Body Oil that combined together substitute a perfect Mother’s Day gift. Gifting Tip: All Molton Brown purchased come with a complimentary gift wrapping that includes a sturdy chic box with a bow and a beautiful greeting card. Where to Buy: $15-74 at Molton Brown. If there is one skincare brand where each and every product seems like it was designed specifically for my skin, it’s Fresh Beauty. I love gentle and effective formulas that go into creating these bestselling products and my mom has a sweet spot for Fresh too. If you are not sure which exactly products to select for this special occasion, I recommend picking a custom set of products from brand’s Rose line. Personally, I’m obsessed with the Rose Toner and Rose Cleansing Foam and I’m excited to test the serum and moisturizer that I (selfishly) picked up for myself (I’ll keep you posted on I how I like those!). 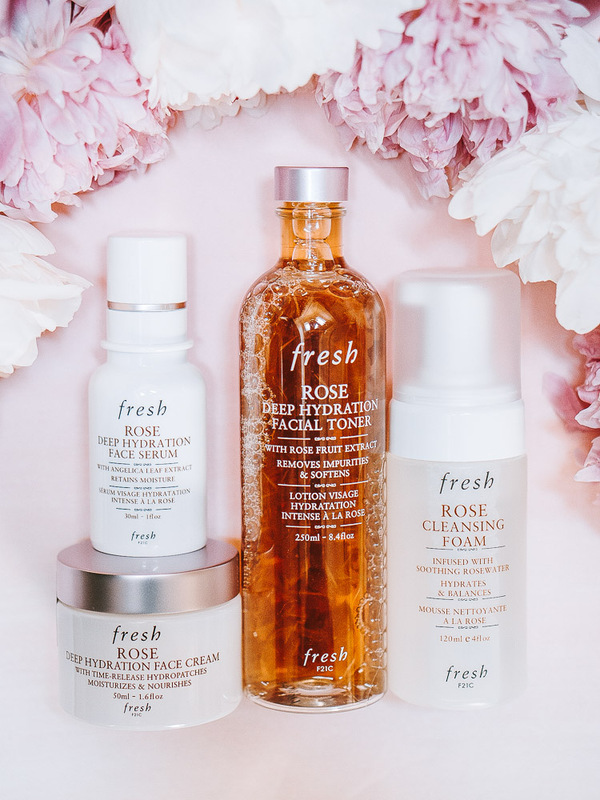 And if your mom is not that into rose scent, Fresh offers all sorts of pre-packaged skincare and body care kits from brand’s other collections—you can find all these specials here. Gifting Tip: You can ask for a beautiful Fresh box with a bow and a greeting card with any purchase at Fresh stores—which is actually such a great deal! Where to Buy: $29-62 at Fresh. When it comes to eyeshadows, my mom’s strategy is “better less, but better” which could be translated as “fewer eyeshadow shades, the higher end product.” From that regard, there is no better option than Dior’s cult favorites 5 Coulers Eyeshadow Palettes. These are very compact to fit any handbag or a makeup bag, proved to provide the most beautiful coverage, and overall exude the luxurious feel and look. At this point, my mom has an entire collection of Dior eyeshadow palettes, but she is always up for more, as the brand consistently updates their collections with new and fabulous shades. Gifting Tip: Even though the palette comes with a mini set of applicators, consider gifting it together with a separate blending brush. Where to Buy: $62 at WikiBuy. If you want to treat your mom with great anti-aging products, definitely consider Lancome. Personally, I have a major obsession with their Bi-Facil Face Makeup Remover and Cleanser as it effortlessly dissolves makeup and doesn’t leave an oily residue. I’m also a big fan of brand’s sunscreens for the face as these are always gentle and do not cause irritations. My mom has been using and raving about Advanced Genifique Youth Activating Serum that I didn’t have a chance to try yet, but really looking forward to. Gifting Tip: Lancome is known for their gifts with purchase so definitely consider those if you are shipping at the department store. Also, a lovely addition could be one of the brand’s perfumes—I recently wrote about my love to Lancome scents and many moms share my opinion. Where to Buy: $40-99 at Lancome. There are hundreds of liquid lipsticks on the market: some are great, some are just okay, but I’ve never met anyone who doesn’t love this one. This formula features a creamy, pigmented coverage that feels comfortable on the lips and shines like a lip gloss. I have a few of these conveniently packaged lippies in my collection and I keep coming back to them over and over again. My mom loves this formula too – so there are very high chances that your mother would be obsessed with this lipstick formula too! Gifting Tip: You already know how much I enjoyed Elizabeth Arden Drama Defined Color Collection so if you want to add something extra, definitely consider goodies from this beautifully packaged line. Where to Buy: $22 at Elizabeth Arden. Correct me if I’m wrong, but most likely your mom has color-treated hair. Why not gifting her products from The Hair Color Authority herself, celebrity hair colorist Rita Hazan? I’ve been a long-term fan of Rita herself, even before I started dyeing my hair, and I know for sure that your mom will love these all natural hair care products. If you want to go a safe way, stick to a shampoo and conditioner combo. For more advanced mom-haircare-junkies, consider Ultimate Shine Gloss or Triple Treat Split End Remedy. In either case, your mom would love these products! Gifting Tip: Add a few glossy magazines to the mix with celebs like J Lo, Beyonce, Madonna, and Mariah Carey—yep, Rita Hazan is responsible for the look of these A-list celebrities’ hair too! Where to Buy: $26 each at RitaHazan or Sephora. In my book, there is no such thing as too many hand creams—and I’m absolutely certain that your mom thinks the same. As opposed to gifting her boring scent-less hand lotions, why not treating your favorite person in the world with this beautifully packaged and delicately scented hand cream trio by Natura Brazil? Each of the products in the scent is made with all natural ingredients and feature deeply nourishing but non-sticky formulas. Also, how adorable is this sustainably produced gift box packaging? It reminds me that I need to go on vacation! Gifting Tip: The brand is all about sustainability so it perfectly makes sense to combine this gift set with a donation to one of the Amazon forest charities that the brand supports. Where to Buy: $29.50 at Natura Brasil. Summer is almost here and who doesn’t want that sun-kissed skin glow? One of my favorite beauty brands Clarins recently released a gorgeous bronzing compact that not only adds that extra luminosity to the look. What makes this compact even more special is that it’s a limited-edition product that comes in a festive and so adorable flamingo print design. Personally, I just can’t stop starring how pretty it is! Gifting Tip: Try playing with the flamingo vibe and pair this gorgeous compact with a flamingo print makeup bag or a matching 4-Colour Eyeshadow Palette. Where to Buy: $40 at Clarins USA. Some people believe that Mother’s Day is an artificially created holiday that shouldn’t even exist, but I believe that it’s here for a reason. Whether you are planning on purchasing a meaningful gift or just call your mom that day, it’s just another excuse to show your mom how deeply you appreciate and love her.